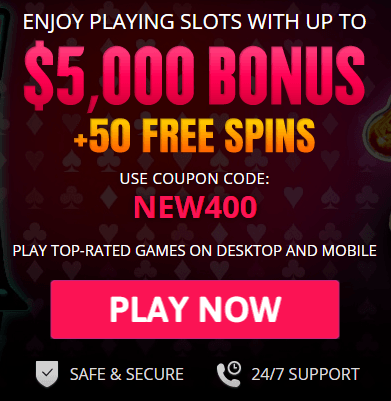 Home USA Online Casino News Sports How Is Sports Betting Going So Far in N.J.? How Is Sports Betting Going So Far in N.J.? It has been two months since the U.S. Supreme Court ruled on a case brought against the federal government by the state of New Jersey, and decided that it was up to each state whether it wanted to allow sports gambling. The state of New Jersey began allowing sports wagering on June 14, with an expanded sports wagering event in Atlantic City on June 28. Preliminary figures have demonstrated that sports betting has had a fairly successful two weeks of wagering, although the figures need more interpretation and information before a decision can be made about the success or failure of sportsbooks. Preliminary figures from the first two weeks of sports gaming revealed that gamblers in New Jersey bet approximately $16.4 million. Sportsbooks raked in about $3.5 million of that total. In addition, the sports betting revenue includes bets on future events that had not yet concluded, such as the World Cup. Futures bets totaled about $2.5 million. The revenue that sports betting brought in can be broken down in several different ways. First, you must consider where the bets were placed. The largest amount of sports betting took place at the Monmouth Park Racetrack, with nearly $2.3 million in revenue. 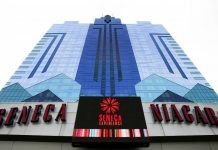 The Borgata Casino recorded sportsbook revenue of almost $1 million, and the Ocean Resort Casino, which did not open until June 28, collected nearly $200,000 in sportsbook revenue. 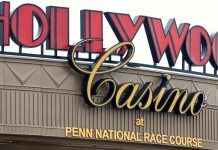 It would appear that, so far, the racetrack is pulling in as much money as the two Atlantic City casinos put together, but it remains to be seen if that trend continues. In addition to the revenue from the venues that allow sports gaming, the type of sport people chose to gamble on is also listed. By far, the largest amount of money spent on a sport was on Major League Baseball, at just over $10 million. Betting on the World Cup and other soccer matches added up to $2.2 million in all. Future betting on the NFL has already started and has amounted to nearly $300,000. So far, the state has only received $300,000 in tax revenue from sports betting. Researchers have estimated that the state may get revenue around $100 million this year. While only three locations have decided to offer sports gaming so far, the state law had allowed all nine Atlantic City casinos and all three racetracks to apply for a sports betting license. FanDuel, which is now owned by Irish company Paddy Power Betfair, is going to open a sportsbook at the Meadowlands Racetrack, which is close to New York City, before the end of July. In addition, three of the casinos in Atlantic City, the newly opened Hard Rock Casino, the Golden Nugget, and Caesars, have announced plans to open sports betting locations in their casinos before the end of the year. In addition, gaming areas where gambling is already taking place are also allowed to start taking bets online or through mobile apps, which researchers believe will be the strength of the sportsbook market in the years to come. DraftKings will be working with Resorts Atlantic City to have an online and mobile app rather than a brick-and-mortar shop that offers sports betting. It appears that the first partial month of sports gaming for New Jersey has been a success, and the cash-strapped state can look forward to additional revenue to come flowing into its coffers. It remains to be seen whether sportsbooks will be able to solve all New Jersey’s problems, but it appears the enterprise is off to a good start.